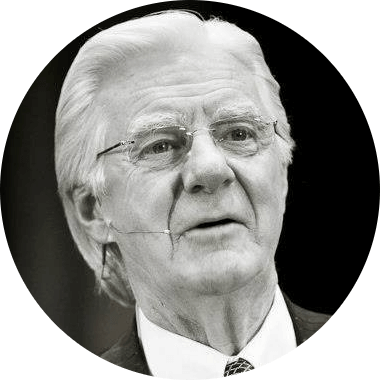 Bob Proctor is widely considered one of the greatest speakers in the world on the topic of getting rich. He teaches people how to understand their hidden abilities to do more, be more and have more in every area of life. His teachings are based on Napoleon Hill’s Think and Grow Rich, and his delivery is second to none! For more than 40 years, Bob Proctor has focused his entire agenda around helping people create lush lives of prosperity, rewarding relationships and spiritual awareness. As one of the world’s most highly regarded speakers on prosperity, he is internationally known for his inspirational and motivational style. Bob Proctor knows how to help you because he too came from a life of want and limitation. In 1960, he was a high-school dropout with a resume of dead-end jobs and a future clouded in debt. One book was placed in his hands – Think and Grow Rich – which planted the seed of hope in Bob’s mind. In just months, and with further support from the works of Earl Nightingale, Bob’s life literally spun on a dime. In a year, he was making more than $100,000, and soon topped the $1 million mark. Bob the moved to Chicago to work with his real-life mentor, Earl Nightingale. After rising to the position of Vice President of Sales, he established his own seminar company. Bob Proctor now travels the globe, teaching thousands of people how to believe in and act upon the greatness of their own minds.